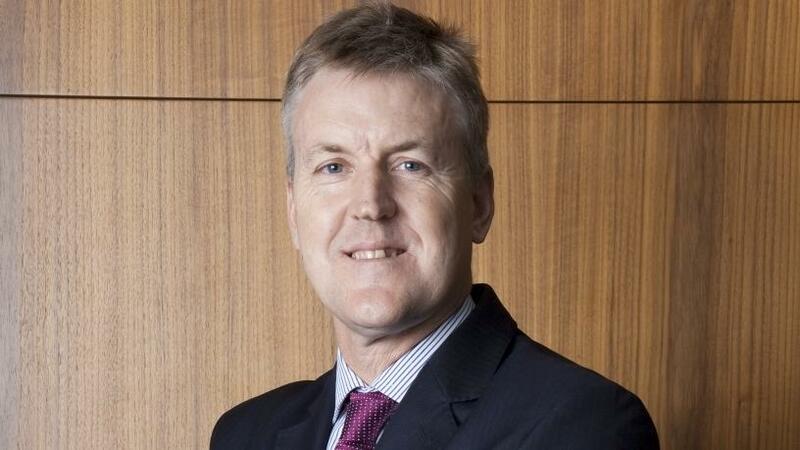 After resigning from MTN, Stephen van Coller has been appointed EOH's CEO. EOH has poached MTN's vice-president of digital services, data analytics and business development, Stephen van Coller, and has named him new CEO. This morning, MTN issued a statement saying Van Coller has resigned from the company with effect from 31 August. It said Van Coller had resigned to "take up a group CEO position at another JSE-listed company". EOH later issued its own statement confirming the appointment. The IT services company says Van Coller will join the group with effect from 1 September. EOH says the appointment of Van Coller follows the announcement of 27 June, wherein EOH Holdings announced it is pursuing its new strategy, which is centred on reconfiguring the group into two distinct and independent businesses, each with its own CEO, unique brand and identity, business model, growth and go-to-market strategies, namely EOH and NEXTEC. The IT services company says the creation of the two independent businesses, EOH and NEXTEC, means the EOH Holdings corporate structure will be responsible for corporate finance, corporate strategy, group reporting, investor relations, risk and compliance. In addition to the growth expected from EOH and NEXTEC, EOH Holdings will drive growth in the areas of innovation, own IP, international business and emerging technologies. Last month, the major restructuring exercise at EOH saw CEO Zunaid Mayet relinquishing his role. The EOH share price has seen a massive drop recently. In the six months to 31 January, EOH said its results were hurt by political uncertainty. A tough macro-economic environment saw EOH headline earnings drop by 23% to R458.4 million for the half year, while earnings before interest, taxes, depreciation and amortisation fell almost 8%, to R1 billion. Operating profit from continuing operations amounted to R784 million, a 6% drop year-on-year. EOH says Van Coller is a well-known and respected senior business executive, having most recently fulfilled the roles of VP of strategy and mergers and acquisitions, and VP of digital services, data analytics and business development at mobile operator MTN. It adds that Van Coller is an accountant by training, and prior to his role at MTN, he was at Barclays Africa Group for over 10 years where he was CEO (CIB Africa) for seven years. Before this, he spent close to a decade at Deutsche Bank, leaving as head of global banking in South Africa. "The board of directors of EOH Holdings is delighted to confirm the appointment of a CEO of Stephen's calibre. His business knowledge, experience, background in the African market and the technology space, coupled with his excellent financial acumen, ideally positions him to lead EOH Holdings into its next chapter. "This, coupled with the appointments of Zunaid Mayet as CEO of NEXTEC and Rob Godlonton as CEO of the EOH branded business, sees the group leadership structured optimally and sets the foundation for its next phase of growth. The board wishes Stephen well in his new role with EOH Holdings." Mayet, incumbent CEO of EOH Holdings says: "I am really pleased that a senior executive of Stephen's calibre is joining us. His vast experience ranging from banking to high tech industries coupled with his corporate network brings a CEO able and ready to fulfil the task of leading EOH Holdings into its next chapter. I am personally looking forward to working with him as we embark on this exciting next phase of our journey." Asher Bohbot, founder and chairman of EOH Holdings says: "We are delighted to confirm the appointment of Stephen van Coller as CEO of EOH Holdings and are confident of his abilities to lead the organisation and deliver on EOH's new strategic objectives. Together with Zunaid and Rob they will set the foundation for the next growth phase." MTN says Van Coller joined MTN on 1 October 2016 and has played an instrumental role in designing the new BRIGHT strategy and ensuring its focus on building out the new digital services areas. It notes that under Van Coller's leadership, the mobile financial services customer base more than doubled to 25 million and significant progress has been made across the group in building big data analytics and rich media services across music, video and gaming. Rob Shuter, president and group CEO of MTN, said: "On behalf of the MTN Group Limited board and the group executive committee, I would like to wish Stephen every success as he commences an exciting new chapter in his career." Van Coller's successor at MTN will be announced in due course.